the portuguese are obsessed with small things: small cars, little juices, tiny yogurt containers, small restaurant bathrooms, small shops, small milk cartons, etc. above is an example. 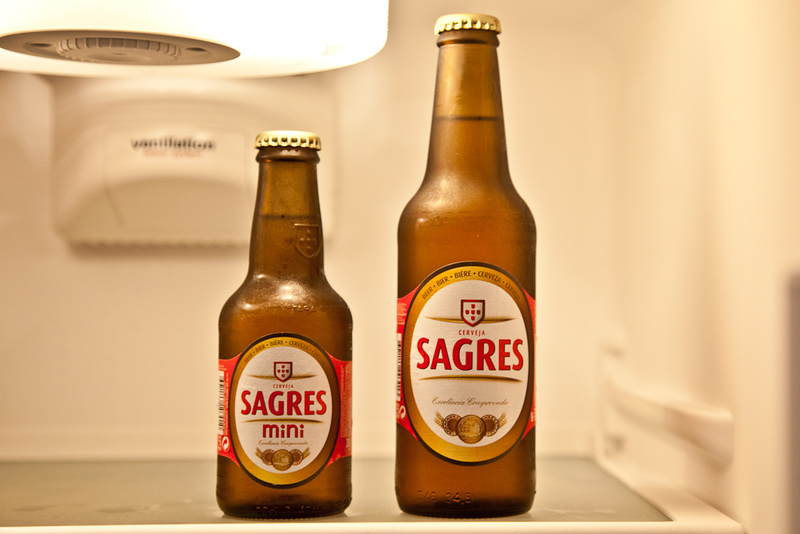 on the right, a normal-size bottle of beer, and on the left, a mini bottle of beer. the minis seem to be really popular, but they are really small and you end up with a lot of bottles that you have to recycle. they claim that the minis are good because you always have it nice and fresh.